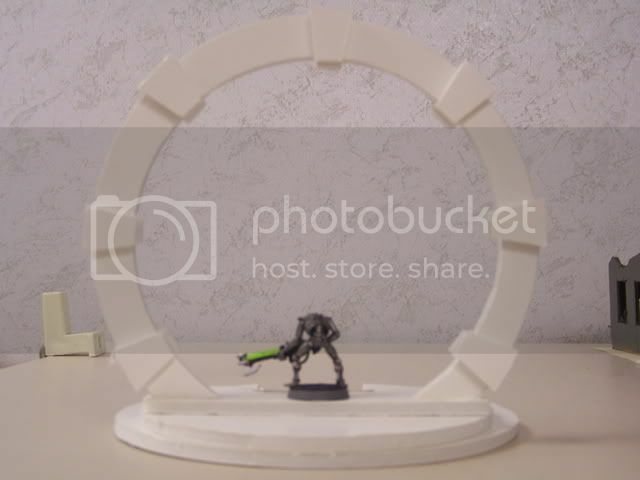 A few days ago after watching a few episodes of Stargate SG-1 (or Atlantis i can&#39;t remember) I was inspired to make a Warp or Stargate and I figured I could make it fit with my (exceedingly slowly) growing army of necrons. My problem now is how to paint it? It&#39;s for a necron army but I&#39;m not to sure I want a green and black scheme. Comments or suggestions are welcome. May not your shot be positioned by your enemy, but your enemy positioned by your shot. "98% of Teenagers have tried smoking pot OR drinking. If you&#39;re one of the 2% that hasn&#39;t, copy and paste this into your sig." First of all, thats really cool! Second of all, I am really not that knowledgable about necron schemes. It would probally have a black singe around the middle part of the circle (From the warp). You definitely need to have silver in there but not green. Black would also be a nice color if you could pull it off. First of all, nice job. Second of all, use the scheme from the show, only where the chevrons are use green instead of the maroon color. Third of all, don&#39;t forget the dialer! Come and stay in my land. Because they&#39;re all controlled by me. tau dont respond the warp, so no. necrons don&#39;t like the warp or psykers either, so no. 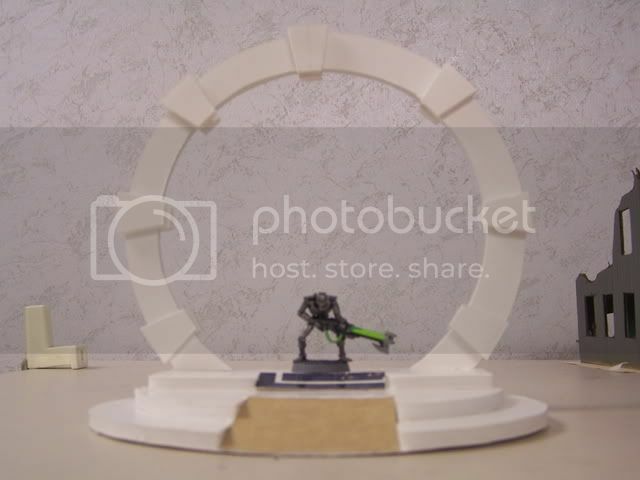 but a Portal thats not warp based still fit the necrons, green energy and stuff. Did you read the post where he said that it was inspired by the show? Anyways that looks Fantasic Flaming Aun. I really like it, you&#39;ve done a great job. 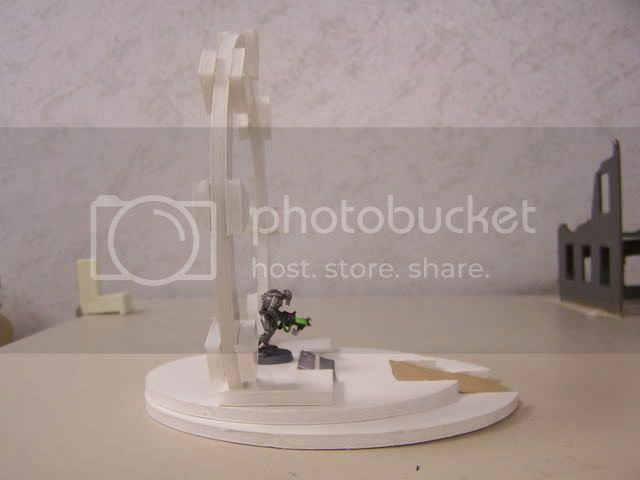 Is that just made out of foamcore? Also would be annoyed if I "borrowed" your idea? For painting I would suggest something dark, a glossy black sounds good, with green details painted on. "My lord, Chevron 7 is locked"
"Excellent.., Necron 1 you have a go".